The school curriculum keeps in mind the capabilities of each student and has been designed innovatively so that there are a plethora of activities built in to encourage students to learn and practice skills that will help them express their individuality. 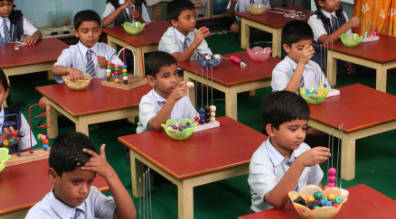 To nurture the talent of each student the school has made extensive arrangements that enable the students to learn different arts, crafts and sciences. 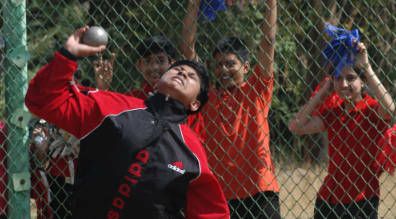 Apart from enhancing the skills of a student, the school offers extensive playgrounds for physical activity and growth. Students are encouraged to play a wide variety of sports like football, hockey, cricket, basketball, table tennis, badminton and chess. 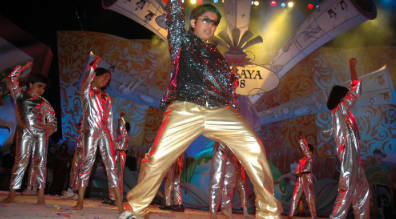 Other activities like debating, dramatics, elocution, quizzing, music, school band and N.C.C scouts events, etc. are also organized on a regular basis.